In October systematic violations of human rights continued, including issuing and implementing death sentences and hand amputations, raid at political prisoners’ ward in Tehran’s Evin Prison and arbitrary killing of porters. In the following report Iran Human rights monitor tries to declare a series of human rights abuses in October. Iran Human Rights Monitor has registered 19 executions across the country from which nine were made public by the state media. Two executions were carried out in public and the others were carried out in the prisons of Yazd, Kerman, Rasht, Mashhad and Gohardasht.The execution of two juveniles were upheld by the Prosecutor’s Office. The state-run Tasnim news agency reported on October 10 that The ruling of Amirhossein Pourjafar, who was only 15 at the time of his arrest, was scheduled for October 19, however, it has been postponed due to international condemnations. The latter’s verdict was sent to the “Implementation of Verdicts Unit”. His father has appealed to the public for saving his son’s life.The execution of Mohammad Haddad has been scheduled five times but postponed at the last minute. He has denied the charges leveled against him but the court has rejected his appeal. Mohammad Haddad was also 15 at the time of committing the alleged crime. General Director of Kerman Province Prisons, Ramezan Amiri admitted on October 10 that at least 24 inmates in Kerman prisons and seven juveniles in Juvenile Delinquents Correction Centre of the province are on death row. Iran Human Rights Monitor has registered nine instances of arbitrary killings. A three-year-old and his father were killed during chase in the southeastern city of Iranshahr. The State-Security Forces raided a home where several men suspected of smuggling refugees and fuel between Iran and Afghanistan were hiding, killing one suspect, as well as a boy and his father who were caught in the line of fire. A driver identified as Zana Dana, was shot dead during the SSF chase. On Thursday, October 12, a young Kurd porter was shot dead after being directly targeted by security forces. He was identified as 30-year-old Kamel Mahmoudi from Piranshahr. He was a father of two. At midnight on Saturday, October 21, government forces in Sardasht opened fire on a group of Kurdish tradesman, which led to the death of one of them. He has been identified as Poshtivan Moein, from Gulan Village. The SSF targeted a number of porters on October 21, killing 24-year-old Poshtiban Moein in the city of Sardasht, Iranian Kurdistan, according to the state-run ILNA news agency. The border guards opened fire on two porters without any prior warnings, killing one and wounding the latter. The victim was identified as Ribar Nami Erbilan, 28. He was also a father of two. The border guards of IRGC in Chaldoran border area, opened fire on two porters. One of them who has not been identified, was instantly died but the other one identified as Majid Dalayi was transferred to a hospital. He was later announced dead due to severe injuries. Amputation, flogging, torture and humiliationIn October, a hand amputation ruling was carried out, over than seven flogging sentences were issued and the degrading punishments continued. On October 11, a prisoner, identified as Behnam Amiri, who has been sentenced to three years’ imprisonment for robbery, was beaten by prison authorities after being transferred from Ardabil Prison’s youth section to Section 5. When Behnam was transferred to this section, he protested not having a place to sleep due to overcrowded conditions. His request was met with beatings from the head of the prison. He later attempted suicide as a result of the pressure. Prison authorities then decided to chain him to a flagpole, located in the middle of the courtyard. 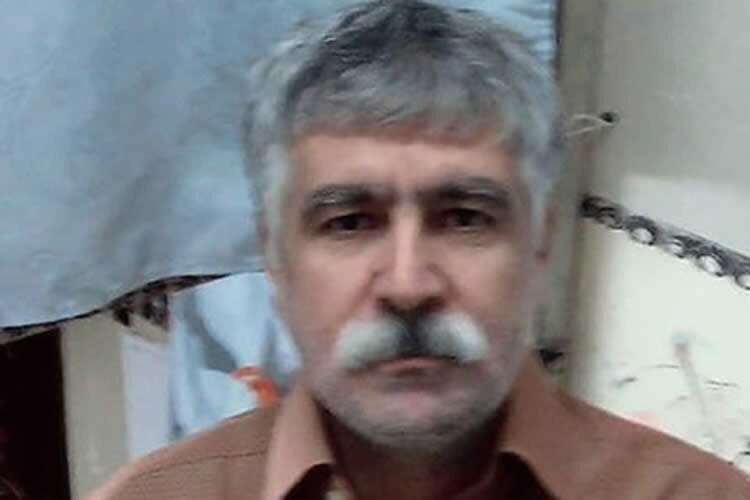 Kurdish political prisoner Mohammad Nazari launched a hunger strike protesting the lack of investigation of the indictment against him and the inhumane condition of the prison. One of his demands is his transfer to a prison in Iranian Kurdistan province such as Mahabad or Urmia. He has fallen unconscious several times during the hunger strike and the prison officials had not done anything about the prisoner’s requests. Nazari is a native of Shahin Dezh, a town located in the Iranian province of West Azerbaijan. He was arrested on May 29, 1994 at the home of his sister in Bukan in West Azerbaijan, while he was 23. Nazari has spent more than 24 years in prison without even one day of furlough. He was sentenced to life imprisonment allegedly for having contact with Kurdish parties.” “I am the loneliest prisoner in town,” said Mohammad Nazari, in a letter addressed to the people of Iran and asked them to be his voice of innocence. After images of political prisoners Arash Sadeghi, Sohail Arabi and Ismail Abdi in Evin Prison’s Section 350 courtyard were published, this section was closed and its prisoners were transferred to other sections. According to reports, because of these images were published, prison guards stormed this section and after confiscating cellphones, transferred Soheil Arabi to Section 8 and banished Arash Sadeghi to Rajaie Shahr Prison. Iranian political prisoner Atena Daemi sent a letter out of prison announcing, “As an Iranian, I announce that not only I’m not an IRGC member, but I’m incarcerated because of IRGC’s crimes.” Her statement follows the statements by the mullahs’ Foreign Minister, Javad Zarif, in reaction to the US black-listing of the Revolutionary Guard Corps (IRGC), indicating that every Iranian is an IRGC member. Ms. Daemi refused to attend a scheduled trial on Sunday, October 22, 2017, to examine new complaints filed against her by Evin Prison’s infirmary. Atena Daemi said she would not attend the court because it was “unjust” and that “Khani, head of the infirmary, and Charmahali, warden of Evin Prison, had to be prosecuted for denying her medical treatment.” Atena Daemi had to undergo another surgery after her cholecystectomy to remove large kidney stones which the prison’s clinic officials have prevented. On October 26, the Iranian Regime’s Ministry of Intelligence, addressing the family member of political prisoner Ramin Hossein Panahi after 124 days, announced that he has been detained by the Ministry and will be executed soon. They told his family: “He will not be transferred to anywhere else, and he will not be allowed to have visits and you should just wait to receive the news about his execution and burial at. The political prisoner, Ramin Hossein Panahi, was arrested on June 23, 2017, after being shot by three bullets by the Revolutionary Guards and transferred to un unknown location. Shortly after, he was transferred to the Intelligence detention center and underwent torture and interrogation while still wounded. The pressure and abuse of Baha’i citizens has increased in the past few days with dozens of arrests, summonses and the shutdown of Baha’i businesses. On Thursday, October 19, security officials went to a Baha’i religious ceremony and after disrupting the ceremony, arrested the owner of the home, Parisa Sadeghi. She was transferred to Evin Prison.Another incident occurred in Birjand when on the morning of October 21, agents of the South Khorasan Intelligence Agents went to the homes of 10 Baha’is in this town and after an hour of house searches, confiscated books, religious images, computers, laptops and cellphones.The names of the detained Baha’is are Sheida Abedi, Bijan Ahmadi, Bahman Salehi, Firouz Ahmadi, Sagher Mohammadi, Simin Mohammadi, Maryam Mokhtari, Khalil Malaki and Sohrab Malaki.The situation was similar in Tabriz. On October 21, agents of the Intelligence Agency went to the homes of three Baha’i citizens, Nahid Misaghi, Behjat Saberi, and Touraj Misaghi, and after disrupting their religious gathering, filmed the faces of all the participants and took their names and numbers. Also, on Thursday and Friday, October 19 and 20, intelligence agents went to the homes of eight Baha’i citizens in Kerman, and after searching their homes and confiscating their religious books, verbally told them not to leave the city because they would be summoned in the future.They also warned that Baha’is were not allowed to convene any religious sessions on Saturdays and Sundays, and that if they did hold a religious meeting, the house where they were gathered would be closed.In another measure, the businesses of 16 Baha’i citizens were shut down in the cities of Shiraz and Marvdasht in Fars Province.According to the latest news, the businesses of at least 12 other Baha’i citizens in the cities of Gorgan and Gonbade Kavoos were shut down last Saturday and Sunday by the Golestan Province Location Police. A Baha’i citizen residing in Birjand was arrested by security officials this morning. 26-year-old Sheida Abedi was arrested by Ministry of Intelligence agents on October 21. The agents searched her home after her arrest.